All of us are searching for the best solution to perfect skin. Whilst true perfection is an unreachable goal it is possible to achieve an outcome for our skin that is radiant, healthy and safe. Knowledge can help us have a better understanding of what not to do with our skin. On this foundation we can then make wise decisions that are beneficial and life changing. Ignorance in matters of skin care has become prevalent in the 21st Century due to our busy lifestyles and bad habits. It is within our power to make sure we do not follow the crowd. We hope this article gives you a clear and honest account of steps you can take to naturally improve your skin. Clear Medical has treated thousands of clients over the years and we consider all of the 7 steps when discussing treatments. It is our wish that you will take something away from reading this article – however small – without having to break your bank balance or make drastic changes to your lifestyle. Over the years we have advised clients with respect to their skin condition and regimen. Again and again we recommend they should view their skin as a living organ. In the same way that we would be concerned about the health of our kidneys and heart, our attitude to our skin should be along similar lines. Skin is our largest living organ, therefore it makes sense to take good care it. In our experience, skin is a reflection of what is going on inside our bodies. Genetics does play a part in skin health, but the environment can also have an effect on these factors. All the same we must not feel helpless and hopeless in matters of our skin. Truly, our genetics and environment should not have the final say. Facial skincare is a priority to many of us since this is the part of our skin most seen by others. The beauty industry (worth billions of pounds) know this and market their products accordingly. Yet we can feel lost with so much choice on offer, and often spend hundreds of pounds on products without seeing lasting benefits. We should not fall into the trap of caring only for our face whilst neglecting other areas of our skin. We recognise that self-image has become extremely important to us; the way we feel about our skin – visible and invisible – can influence our general mood and well being. It is vital that we view the skin on our legs, arms, back and chest with the same importance as our face. Our brain consumes on average 20% of the calories we consume. This is relatively high when we take into consideration its proportion to the rest of our body. Some of the functions the brain carries out include sensory communication (smell, hearing, taste, sight, balance and touch), memory storage, current thoughts, and future contemplations. There’s no denying these are important functions, but there are many more worth noting. The flow of oxygen to the brain and removal of waste (toxins) are vital processes which have an impact on cell, tissue, skin and hair regeneration. If either one of these functions are lacking there could be a devastating impact on our skin, hair and body. Ignorance in matters of skin care has become prevalent in the 21st Century due to our busy lifestyles and bad habits. We must not follow the crowd. It’s vital we allow transport channels to remain open in order to receive as much oxygen as possible. There are two main arteries that supply blood, oxygen and nutrients to the brain. Restrictions in our blood supply can reduce the efficiency of our minds in processing information. This can slow down our metabolic processes and have a negative effect on our mood. Toxin drainage can also become restricted having similar effects. 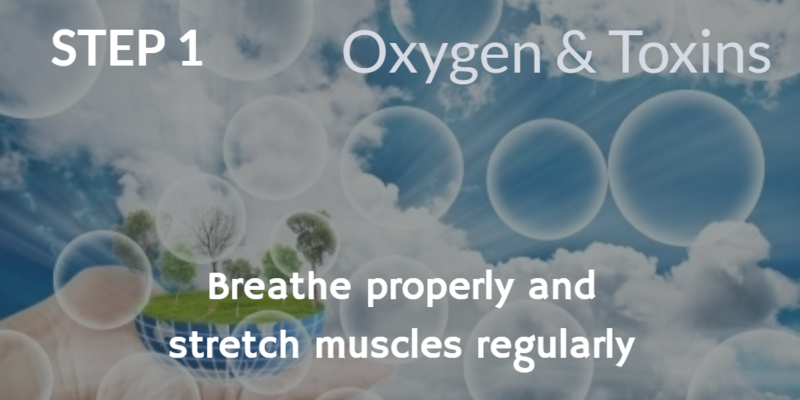 It is crucial that the muscles in the neck and upper body are relaxed regularly. The best ways to do this are by stretching, yoga and/or having a massage. Toxins can become trapped and blood flow impaired when our muscles become sore and tense. We should also aim to stretch and (if possible) practice yoga every night before bed. Another option is to use our Scrub Mitt on a daily basis to facilitate blood circulation and toxin drainage. If you’ve ever watched a baby sleep you will notice its belly moving up and down as they breathe. What’s good for the baby is still good for us today! Despite this we have somehow forgotten the importance of breathing properly. Note the word ‘properly’. When we inhale a muscle called the diaphragm tightens leading to a plethora of processes which draws air into our lungs, causes our rib cage to expand and allows free flow of oxygen. Take slow deep breaths through your nose and concentrate on the sensation of cool air flowing through your nostrils. Exhale slowly. Repeat, and focus on your breathing. We need to think carefully about our eating habits. All too often we allow our lifestyles and priorities to cause us to lose focus on important things like nutrition and diet. As children, most of us are lucky to have parents who planned our meals and took their nutritional content seriously. As parents ourselves, we may be doing the same for our children whilst putting ourselves last. This is a huge mistake! We can be so work driven and consumed by life’s activity that we make costly, convenient and calorie filled choices without considering the nutritional value. The age old adage is true! Nutrient sources do have different effects on our mood, and we also have to consider the chemical content of the food we consume. When we eat food with colorants, preservatives and other additives they may trigger mechanisms which put unnecessary pressures on our organs, and potentially lead to disease in the long run. Natural food sources are the best as they pose no potential risks to our health in the long run. Natural chemicals contain many proteins which are identical in composition to essential amino acid structures in our bodies. These food sources can be processed more efficiently due to our need for proteins, sugars, carbohydrates, fats, vitamins, minerals and fibre in our diets. All too often we allow our lifestyles and priorities to make us lose focus on important things like nutrition and diet. It is a crucial mistake if we choose to to skip breakfast when we wake up. We need to consume calories equal to the energy we require for our daily lives. For a healthy metabolism in terms of cell renewal we need to teach our bodies to efficiently use the nutrients we supply and control the amount of toxins we digest. Ayurvedic practice specifies our diet needs to be altered – depending on the season and our stage of life – working with natural laws to influence our food habits. Think about having a balanced amount of protein, sugars, carbohydrates, fats, vitamins, minerals and fibre in your diet. Vary your diet and don’t eat the same thing daily. This will also shock your metabolism so you can get the most out of the food sources taken in. Don’t worry if you miss something as vegetables usually compensate. Eating smaller portions throughout the day will cause your fat storage mechanisms to store less fat. 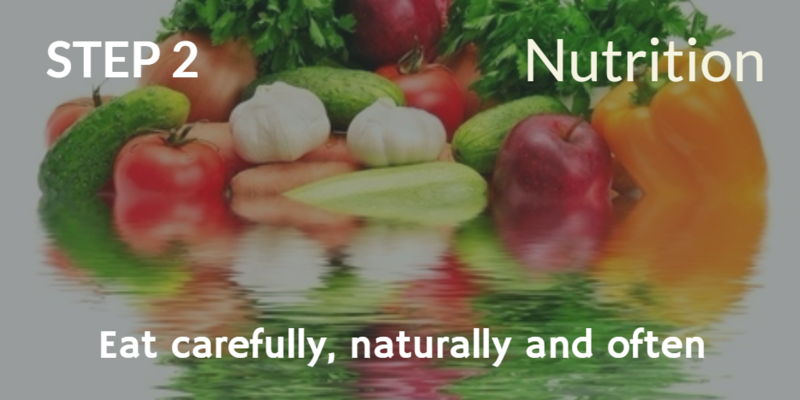 A natural outcome is that your body will look leaner and your skin more radiant. This is because the biological mechanisms in the body will be more efficient. Eat to live and don’t live to eat. We have to understand food and its purpose first and foremost. We need food so our bodies have all the tools needed to build healthy skin, hair and body cells. Eat according to the season e.g. salads in summer and soups in winter. Changes in external temperatures affect the rate of digestion which makes nutrient absorption easier. We can think, worry and care too much yet we have never heard that too much happiness is a bad thing. In the image conscious society we live in we can look at other people who seem to have perfect skin and naturally feel envious. We compare ourselves to others constantly – what we forget is that we are not them. The real enemy to our pursuit of healthy skin and happy lives is not the media or the beauty industry, but ourselves. We need to accept what occurs in nature before we can begin to work with it for our own well being and betterment. We do well to remember that no human being is exempt from the second law of thermodynamics, which states that everything in the universe breaks down. This includes what happens to our skin, hair and body. Media establishments try to hide this break down by using Photoshop whilst people use makeup to cover and enhance their features. It should come as no surprise to us that our skin and body experience changes as we age. Different things make different people happy. Babies are happy when they are fed and receive affection from loved ones, but cry when they don’t receive what they want. Not much changes when we become adults. We look for security, stability and happiness everywhere we turn, and spend our lives trying to attain and maintain that state. Hormones are the little messengers in our bodies doing the leg work that changes our mood. Nevertheless, we are the master of our hormones and must not allow them to take total control of our thoughts and actions. The natural purpose of our hormones is to change depending on our circumstances and mood. These can alter metabolic reactions within our bodies as an order of priority depending on our individual susceptibilities. We need to accept what occurs in nature before we can begin to work with it for our own well being and betterment. Our skin is most radiant when we are relaxed and happy. If we are stressed and unhappy with our appearance or circumstances we can become very self conscious and introverted. This makes us feel even worse and can affect our bodies in various ways. Psychosomatic medicine has proven that our psychological state affects biological mechanisms within our bodies. The problem comes when our thought processes become continuously negative and lead to detrimental outcomes. Positive thoughts, on the other hand, can facilitate healing, growth, cell reproduction, repel disease, balance dietary consumption and generally increase well being. It’s important that when we look in the mirror and think about our skin or appearance we don’t think negatively. There will be certain things we are not happy with, but we should never allow ourselves to feel helpless and hopeless. It’s easy to become fixated on a blemish or spot and become overwhelmed with self loathing. Long term negative mindsets can cause further complications and can result in disease. If we have a skin condition we should not see that as being the main problem; the bigger problem is the concern we have about how our skin will affect our lives. Who is going to notice it? Does it make me less attractive? Will it prevent me from succeeding in life? The answer to these questions – if we’re honest with ourselves – is most likely no. All the same, if it matters to us we can always seek professional help. Until you do, don’t allow the condition to take over your thought life. Negativity is a choice! If you become anxious or stressed about your skin, work towards a way to remedy the problem by giving your mind and body some tender love and care. Most things in life cannot be changed immediately and worrying about them will only make matters worse. Take some time to listen to music, meditate, exercise, go for a walk, talk to a close friend and/or prepare yourself a healthy meal. 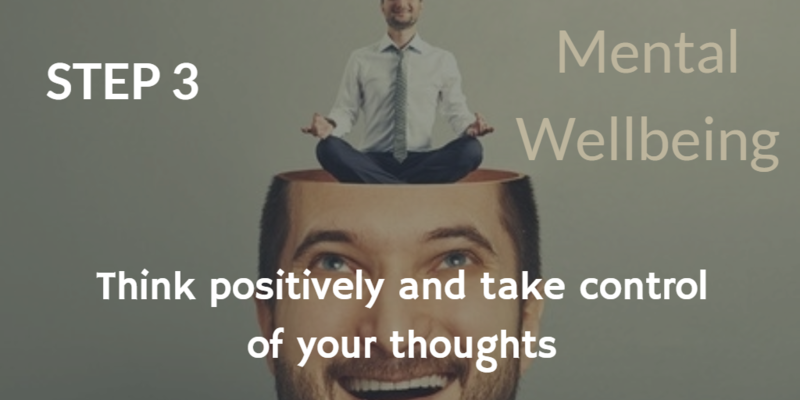 Giving your mind and body some attention will make a big difference to your outlook. One of the best skin care regimes we can employ is a good night sleep! This dormant state is something all living creatures do to rejuvenate their cells and tissues. When we sleep well we awake refreshed; in turn our skin, hair, body and mind are more able to deal with day to day life in an organised, positive and pragmatic way. A bad night sleep will have an effect on our hormones, whilst causing us to look dull and tired. There have been many studies undertaken looking at how sleep affects our bodies, and the impact the length of sleep can have on us. The amount of sleep really does vary depending on the individual and how much they exert themselves during the day. In our experience a lot of clients say they sleep well, but we have come to the conclusion that sleep quality is not just about the length of time spent in bed. After a good nights sleep our skin, hair, body and mind are more able to deal with life in an organised, positive and pragmatic way. A person who goes to sleep with lots of things on their mind hasn’t actually switched off from the day and risks sleep deprivation . The impact on our skin of a bad nights sleep cannot be underestimated. The skin may experience changes in blood circulation causing redness, differing pigmentation levels leading to darker/lighter skin, with greater susceptibility to infection and breakouts. The immune system is triggered as a protective mechanism when we are in a drained and tired state. It should not come as a surprise to us that the health of our skin is waning when we are not sleeping well. We must take action to prevent sleep deficiency in order to prevent lifestyle related issues and diseases. Everyone can recall having a good nights sleep. Look at the factors which led to this and try to arrange it to be possible throughout the week. To achieve a good night sleep, plan to achieve a rested state prior to sleeping and switch off your mind, preparing for regeneration. Read a book, write down priorities for the next day and/or listen to music. On occasion a good night sleep might not be possible. Don’t worry! We’re entitled to stay up later sometimes due to socialising, family or work commitments. Nevertheless, try to work towards maintaining a regular routine during the rest of the week. For more information please take a look at our article How To Sleep Better for more advice and tips. We are currently living in a water revolution. It has become trendy to carry a bottle of water with us to work or hydrate ourselves in between circuits at the gym. As with most revolutions, however, we need to be cautious. Hydration, by definition, is literally the process of water being combined with a chemical compound. This is why we are under the impression that we have to drink water to become healthier. Tap water and bottled water are processed and contain chemicals that can have a negative effect on our bodies. We can hydrate ourselves in various ways which do not limit our intake to being solely from a tap or bottle. Water is readily available from many other sources, and when hydrated the body can facilitate metabolic reactions by allowing hydration of chemicals to occur more often. This means that toxin drainage and cell production is more efficient when we are hydrated. We have been asked many times about drinking water and the optimal level for healthy skin. It’s not easy to answer this question without knowing an individual’s exact diet and lifestyle habits. Many people spend their life drinking water in tea or food only, but when they start to drink lots of water they simply end up using the toilet a lot. Water is needed for most metabolic processes in the body, and having it in abundance can increase their efficiency. However, there is a downside; too many minerals in water (chemically added) can have a toxic effect on cells as they are not naturally occurring. When hydrated the body can facilitate metabolic reactions by allowing hydration of chemicals to occur more often. This product is relatively new to the aesthetics market, and is being offered as a viable solution to dehydration. When drunk in excess and depending on the individual, alkali water can cause problems for the natural balance for our body’s pH levels and lead to rupturing of cell walls. Despite this, companies are marketing alkali water as being more efficient in hydrating the body, and sadly some people buy into this misinformation. We need to be wary of products which offer an easy and quick fix, always considering the long term consequences of their use. We are not telling you to completely stop drinking water from a tap or bottle. 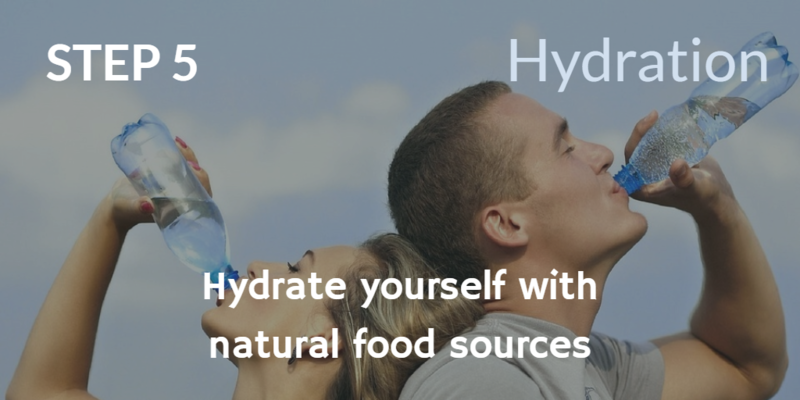 The actual requirement to stay hydrated depends on the individual and lifestyle. You should know the warning signs when you are dehydrated. Your urine will be a darker colour, and you will experience tiredness with possible mood swings. Hydrate yourself immediately when this happens. We should consciously consume fruit, salad, vegetables and other sources of food that have a high water content. These sources will also have nutrients within them and have less side effects than drinking only tap or bottled water. Our human bodies are the most complex machines on earth. At a microscopic level the activity occuring in our cells, tissues and skin are incalculable. Here we are going to consider the impact of physical activities on our skin. Posture is important whatever we are doing since it plays a key role in the free flow of chemicals required for life – whether they are for communication, processing or action. Just like a machine which needs regular care and attention to operate efficiently, we must maintain our body to get the most out of it. Our brains store habits based on our metabolic activities. For example, if we don’t do any exercise our mind tells the cells in our bodies, “We don’t need that much food, let’s store more fat!” On the other hand if we are very active our mind says, “We need more food, let’s store less fat!” Our cells need to be taught to turnover quickly, and that is the key to looking and feeling better. Higher cell turnover means the body is renewing itself and regeneration happens more efficiently. Using our bodies properly will also ensure that all of its parts are in good working order, including our skin. Our body systems overlap and each cell type functions as a team player in a very big game! Like a machine which needs regular care and attention to operate efficiently, we must maintain our body to get the best out of it. Just because we look slim and athletic in clothes does not give a true reflection of our metabolic health. The health of our skin can change depending on metabolic processes occurring within the body. The less exercise we undertake the more sensitive our skin can become. This can cause our bodies to trigger defense mechanisms which makes us susceptible to all manner of skin problems. Exercise is needed for our skin to stay healthy and maintain the health of our cardiovascular system. This ensures that our bodies produce energy to use cells appropriately. Each day we should try to do at least 20 minutes of exercise. Stretching before and after exercise will help the body release toxins. Studies have shown that stretching after exercise prevents muscular damage and increases the metabolic health of our bodies. 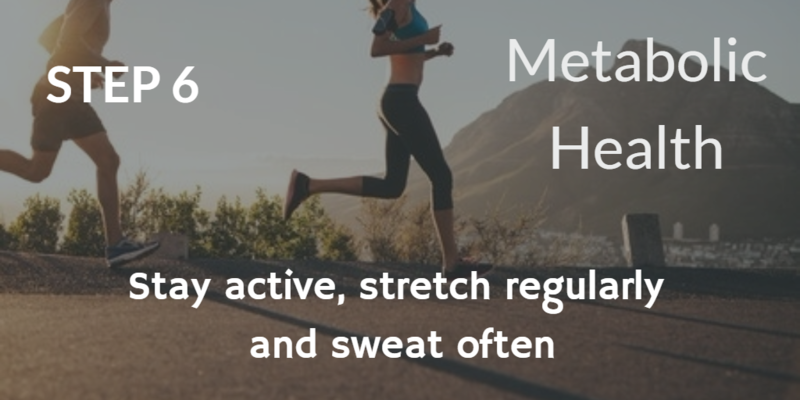 When we sweat our bodies excrete toxins whilst also naturally nourishing our skin. Sweating is similar to a flushing out process, and can help the skin look and feel softer. It is true that our external skin gives an indication of what’s going on inside, however there is a complication. Our bodies are constantly exposed to the environment which acts against its natural balance and internal biological mechanisms. The condition of our skin can easily be enhanced when implementing some or all of the natural skin care routes mentioned here. Along with muscles and special tissues, the skin acts as a protective barrier that holds our body together and reacts to changes in the environment around us. This is the process by which the body regulates the internal environment e.g. 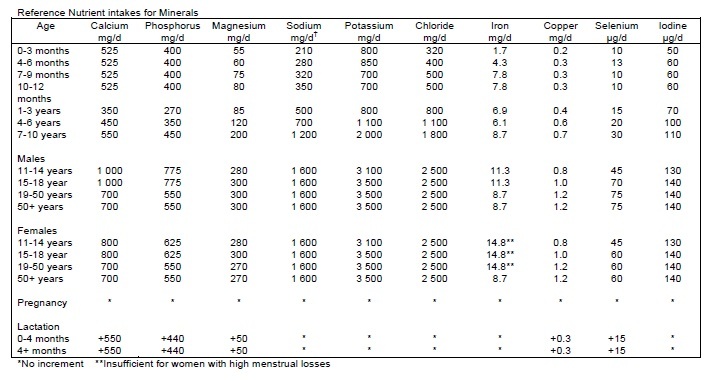 temperature, pH levels, chemical levels and nerve cells. The internal environment communicates with the external and reacts in order to maintain an equilibrium. This process occurs automatically but we can help it to work more (or less) efficiently depending on our lifestyle. 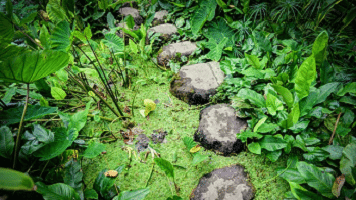 Throughout the years many factors have contributed to a breakdown in environmental prosperity. Overpopulation, deforestation and industrialisation increase on a daily basis, causing damage to our ozone layer and allow increased levels of radiation to penetrate the atmosphere. This has led to increased sensitisation of our skin barrier, most commonly observed in our face and hands because they are more exposed to external stimuli. The consequence of this is that we are more at risk of skin protein damage, pigmentation, broken capillaries, skin inflammations, acne, surface damage and crusting of outer layers of the skin. Our bodies are constantly exposed to the environment which acts against its natural balance and internal biological mechanisms. It concerns us that beauty products are available which claim their formulation can protect us in the fight against skin sensitisation, whereas closer scrutiny shows something far worse. Chemicals found in personal care products can further sensitize the surface of the skin, as well as penetrate our pores and enter into the bloodstream. Many of the additives in most high street products are not actually beneficial to the skin but are included due to financial viability and profit. We need to be suspicious of any product claiming to work a miracle on our skin. A curious glance at the list of ingredients inside can usually indicate whether or not the product is more of a curse than a miracle cure. Quick fixes may help in the short term, but they can greatly damage your health in the future. When we shop we must make sure we don’t impulse buy personal care products, and do our own research before purchasing items. We could be doing ourselves more harm than we realise. Ignorance in matters of our bodies is never a good thing, and we must try not to listen to the company that is shouting the loudest in the supermarket. The least you can do is to never use a product that doesn’t make you look and feel better about your skin. You may buy a big brand for the smell, but find you do not receive any benefits. To put it bluntly you might as well use it to clean the limescale in your toilet for a more beneficial purpose. Natural chemicals do not have long term side effects, so it is best to keep it simple. We recommend washing with a Natural Soap and moisturising with our Tone & Defence Skin Oil. 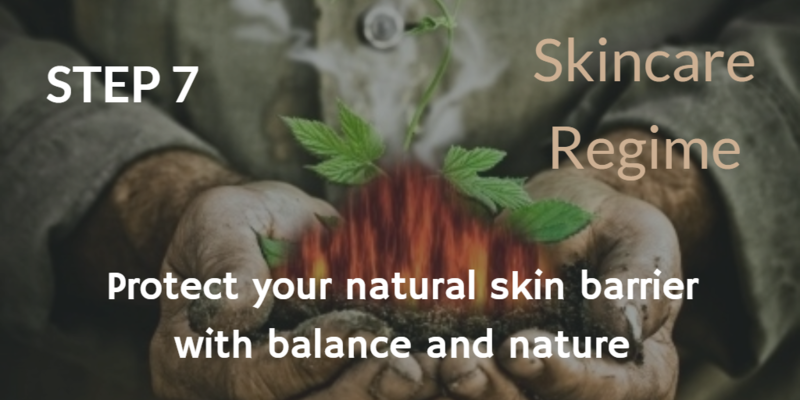 Whenever we expose our skin to the environment we must make sure we use a protective barrier we trust. Following these steps will allow your skin to be restored to its natural best. By acting on the advice found in this article you will be amazed by the outcomes. 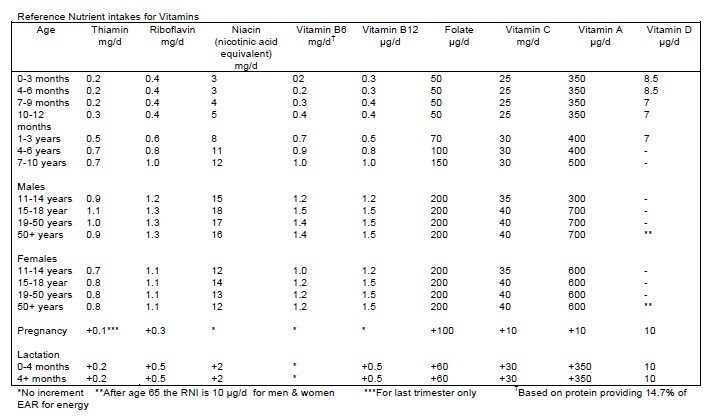 Sometimes, however, it is necessary to complement these routines with treatment. In our clinic we use proven technology to safely manipulate natural mechanisms in the body to achieve the desired outcome for clients. There is no need to go through your skin issues on your own. If you have any questions or queries, please do not hesitate to contact us. Alternatively, if you’ve followed the steps found here we’d love to hear from you!